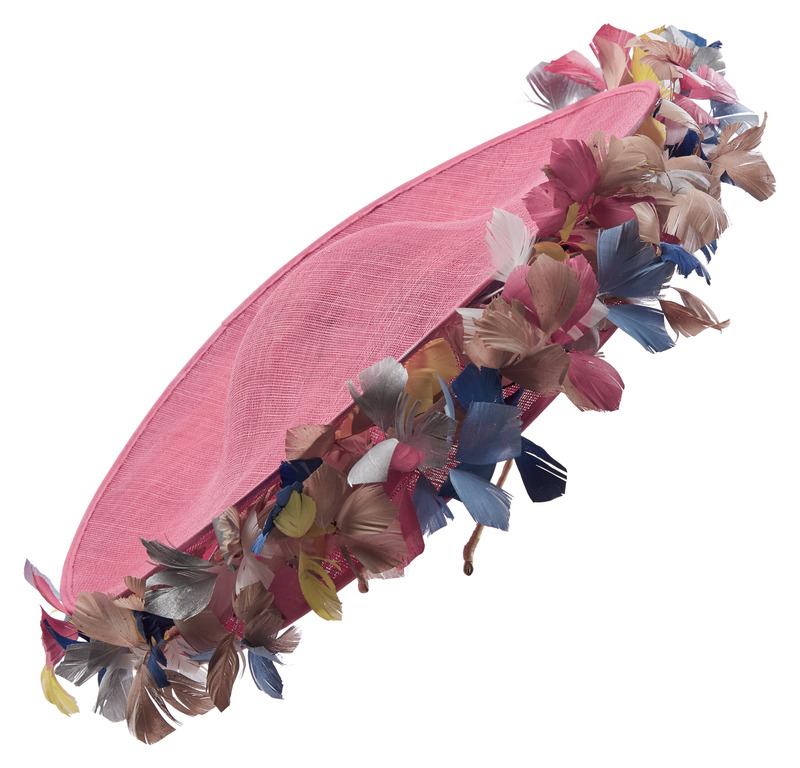 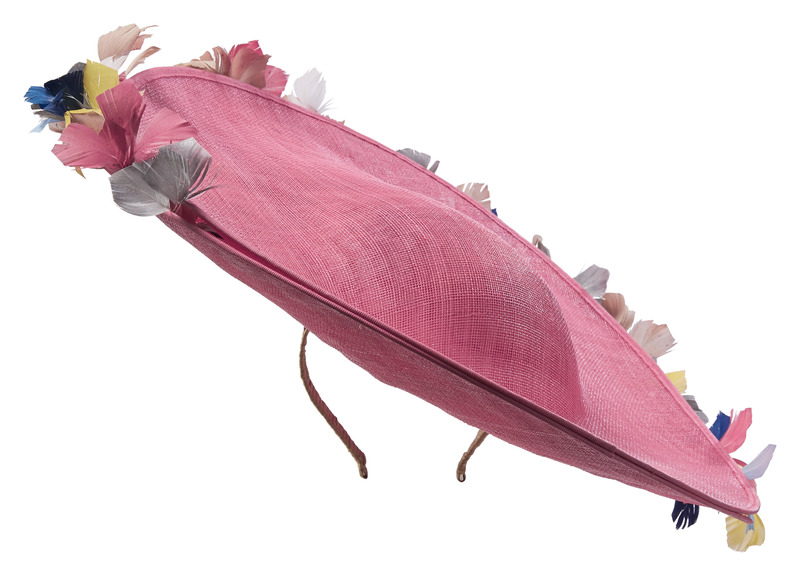 The Fizz dish hat comprises a double layered sinamay base adorned with a beautiful array of flowers between the two layers. 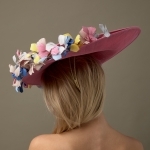 This is such a versatile hat for colour matching to your outfit, the 2 layers can be of different colours as well as the flowers. 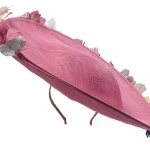 The hat comes on a headband covered to match your hair colour providing a seamless finish. 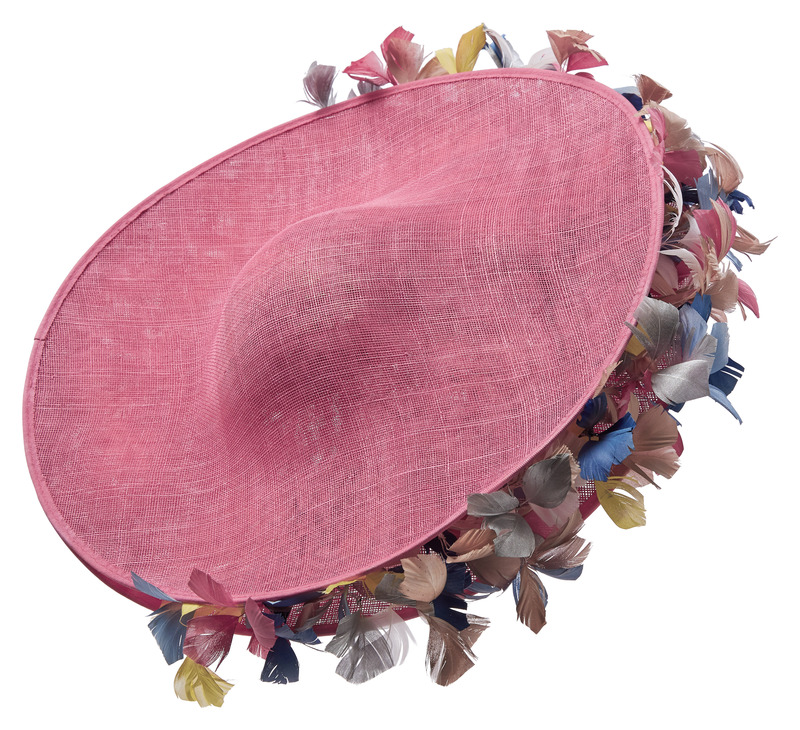 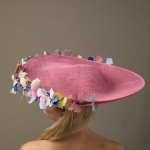 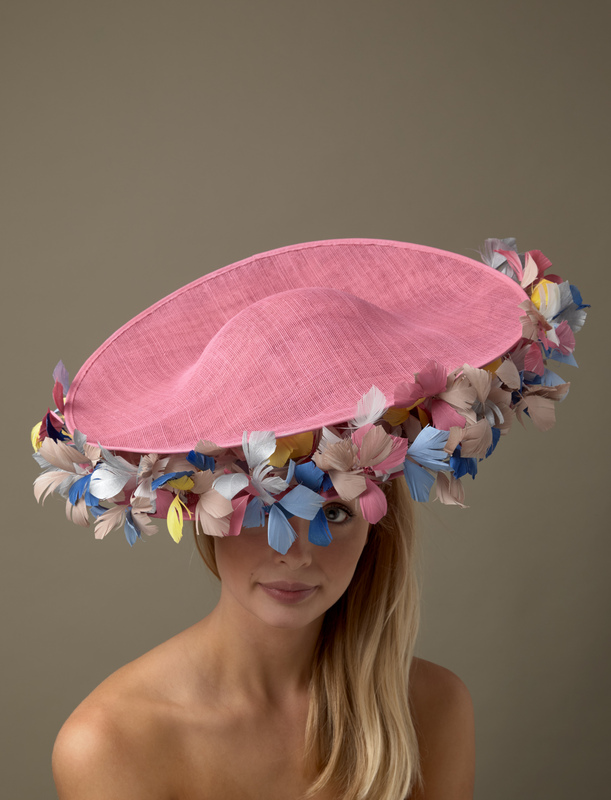 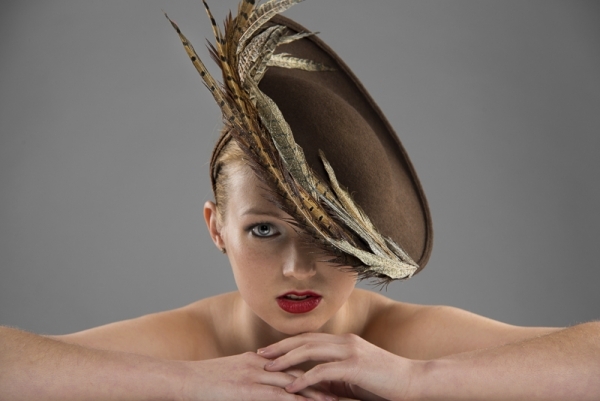 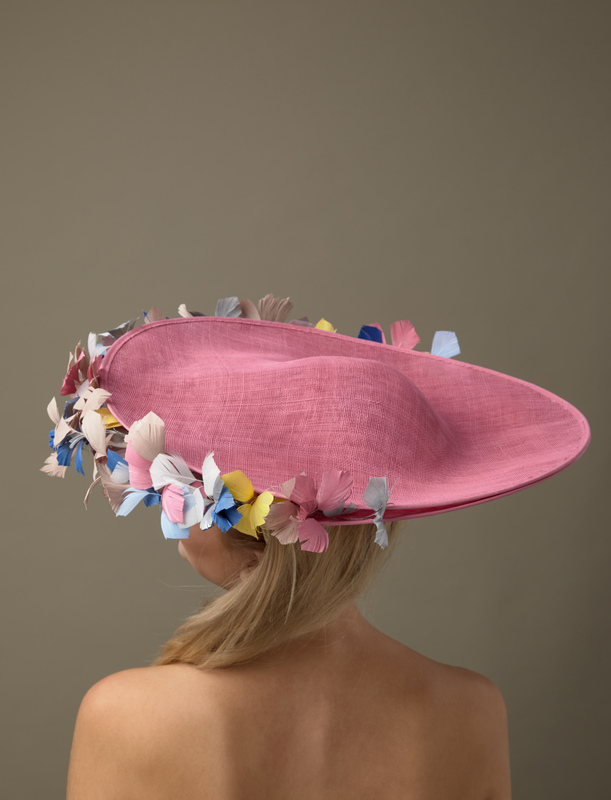 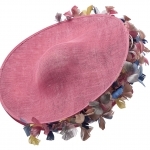 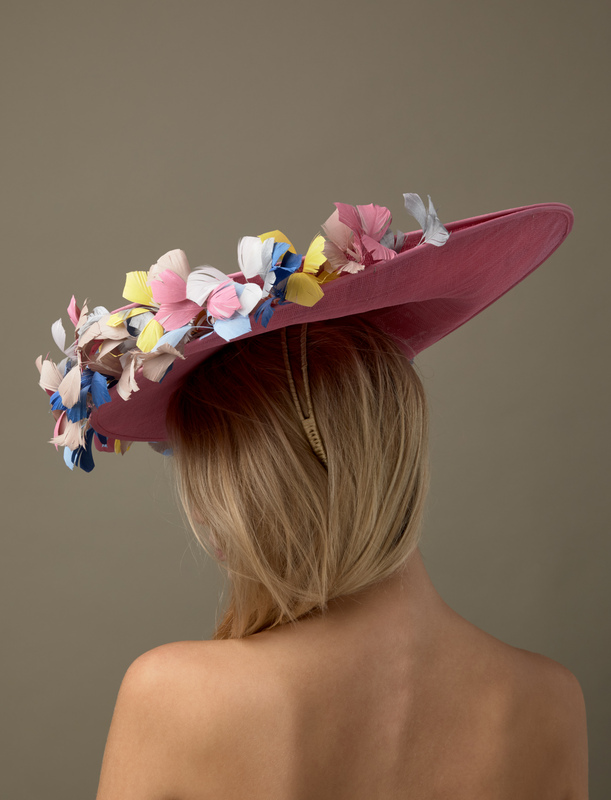 We love this hat and think it will be equally at home at Royal Ascot, the Epsom Derby or on a super stylish Mother of the Bride.